If this is true, it’s pretty desperate. Like if you don’t have material and you have to pay someone to find you the material, this is not a good look. And he’s already looking really, really, really bad with the bullet-words that Pusha fired at him on "Adidon", the main takeaway being that Drake is a deadbeat dad who was only planning to introduce his son in conjunction with his next business venture, a line of sneakers. As Kathleen wrote the other day, Pusha’s attack was so effective because he was dismantling the Drake image – he was supposed to be the sensitive one, the one who did right by women, and instead he’s the guy who’s not doing right by his baby and his baby mama. And in turn, it’s Pusha who’s now, sort of, assuming whatever vacancy Drake’s left behind. He’s the man calling out another man for not acknowledging his child and the mother of his child which is the behaviour I’m interested in here. Should more men call out other men for not being there for their children? The way women call out women for “homewrecking”? Should more men be holding men accountable for being not accountable to their children and their mothers? Because what we usually see is men closing in, protecting the code. And this is not what Pusha is doing here. I mean, sure, he’s only doing it here because he has something to gain from it, because Drake came for him. But I wonder whether or not we should talk about it more and whether or not we might see more of it – men shaming other men for failing their children. According to TMZ he was supposedly going to talk about his son on his upcoming new album, Scorpion. Obviously this situation may have changed those plans. Instead of paying people to dig up dirt on Pusha though, maybe the only move here, as Kathleen suggested, is to lean into what made Drake – emo-confessional with a pinch of sheepishness. 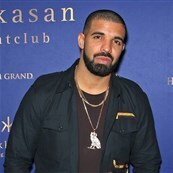 Drake is a successful male artist. Forgiveness is always available to successful male artists. I’m not saying he has to publicly flog himself, but even if he gets halfway there, makes himself an example of toxic masculinity reformed, people will meet him, there’s no doubt.